Well this is certainly a true sentiment! 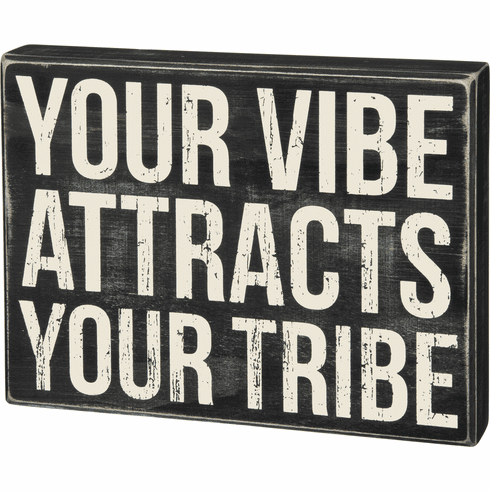 One to gift yourself or a fellow member of your "tribe".....A classic black and white wooden box sign featuring a distressed "Your Vibe Attracts Your Tribe" sentiment. Easy to hang or can free-stand alone.